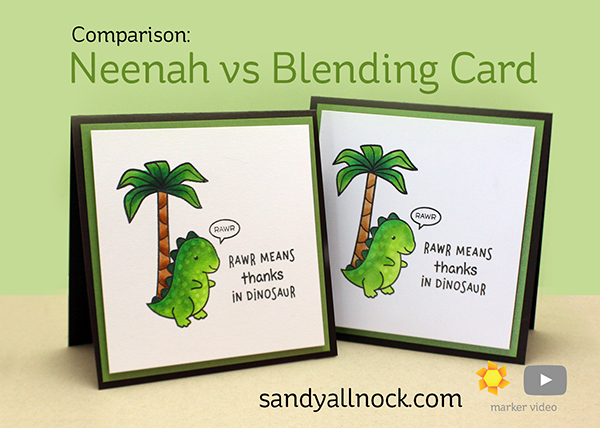 Over the years, lots of folks have asked me just what IS Blending Card and how does it differ from the Neenah I use? So I decided to show ya! There’s nothing wrong with either paper – but I’ll show you a side by side comparison with a simple image, and you can decide if you want to pick up a 10pack to try; it’s on sale, FYI. #justsaying! Watch the video below or click HERE to see it in HD on YouTube. The Neenah is a more absorbent paper, a warmer white, and colors appear darker and richer. Edges of strokes seem to be softer. Blending card (why isn’t it “cardstock”?) is a thinner paper, a cooler white. Colors seem lighter, but can be intensified with more coloring. Edges of strokes seem to stay more crisp. I have used Neenah, but in your comparison, I actually like the blending card better. Thanks for the comparison, I have Neena, no Copics but sheeper Alcohol Markers ( I don’t use them so much, I love pencils) and the don’t work ad Neena. So perhaps I have to try the Blending Card. I am writing regarding YouTube providing NRA TV. I hope that as an influential entrepreneur & business woman with what appears to be Christian values, you will oppose YouTube. At this time, I will no longer use YouTube. Thanks for showing the comparison. I don’t use either. I’d like to use Neenah but its so expensive. Thanks for the video. Thank you so much for doing this comparison! I had wondered if I was missing anything by not using the xpress paper. I now don’t feel like I am. I think the Neenah looks much better when you see them side by side and I’m going to continue to use it. Thank you ! I have learned so much from you by watching your videos. Sandy, I would be in the camp asking what a blending card is. Thanks for the intro, but I think Neenah will work just fine for me. 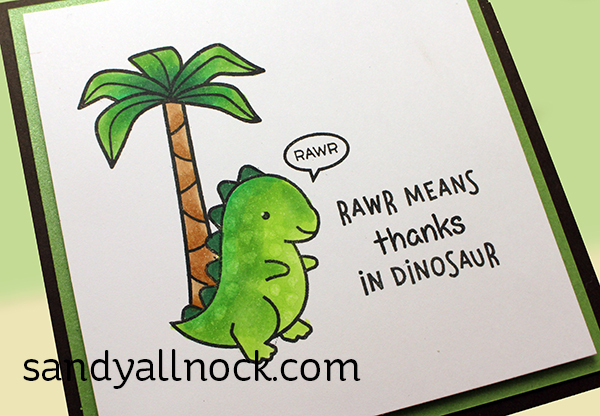 As for those two dino cards…. 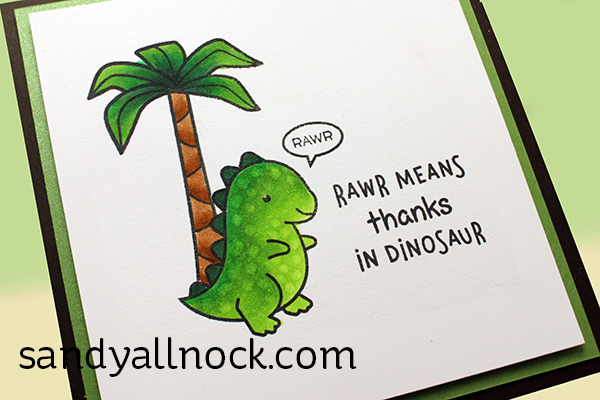 RAWR-able! I started on neenah but took classes with a teacher who taught on Express It Blending Card. So I learned both. I prefer blending card. I think it blends easier. In my opinion, perhaps you tried to hard to be fair? …. perhaps it’s not too important to use the same number of strokes…. I don’t think anyone would mind if it took 1-2 more strokes. If it did, but looked better than Neenah, we will never know. I think we can just all agree that we are grateful for choices! Get a small pack of Express It Blending Card and try it, you might like it! Did you learn dark to light on the xpress it ? I read a blog that the x press it works better when you use that technique. I bought a bunch of it but am in the middle of a move and am now wondering if I should have gone with the Neenah instead. I prefer Neenah… but I use the Blending cards for my digital stamps, as I can’t get the heavier yardstick to go through my laser printer! Good info here! Glad I didn’t waste my money on the blending card. Thanks for the comparison! Great video. Thanks for the comparison.